Call Levels, an innovative market monitoring and immediate price alert notification free app was nominated as the Top Mobile Innovator at the MEFTECH 2016 conference at Abu Dhabi National Exhibition centre from 22-23 March. 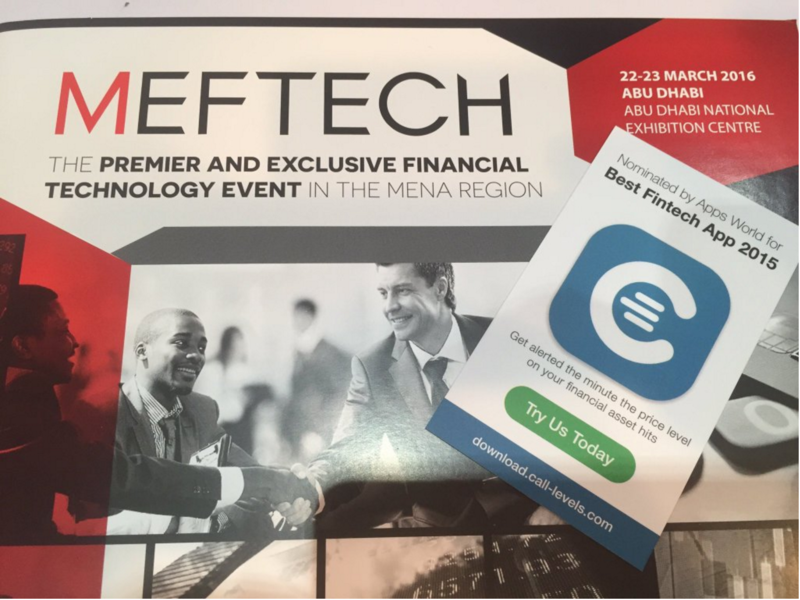 The MEFTECH 2016 exhibition and conference, is the MENA region’s largest congregation of thought leaders and experts from the financial services and financial technology industry. This was the inaugural event offering growth stage startups with the opportunity to present the latest in financial technology to bank delegates interested in adopting innovative fintech solutions for their organizations. Together with six other startups, Call Levels was invited to present its digital solution to empower users who are active in the financial markets to stay ahead in volatile markets. 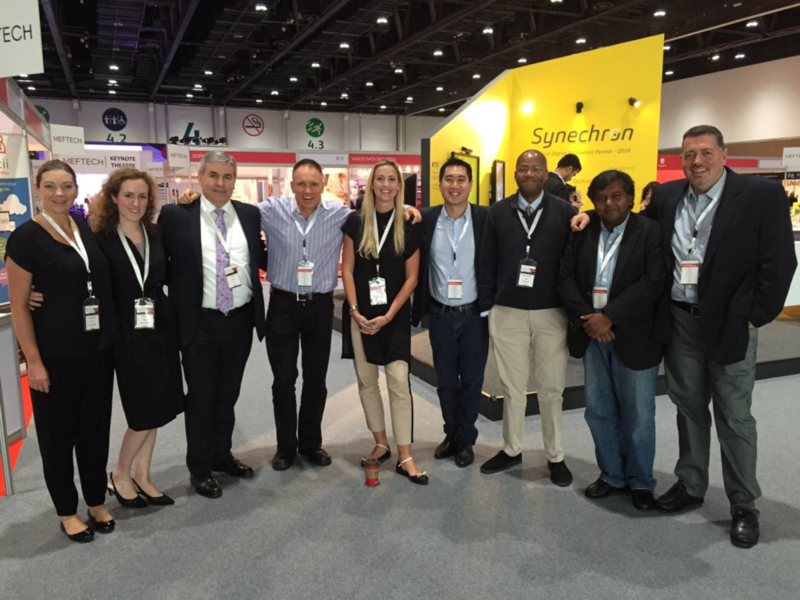 With MEFTECH-led buyers driving approximately US$13B of financial technology expenditure within the region, Call Levels valued the opportunity to connect with the players and engage with the exhibition floor. 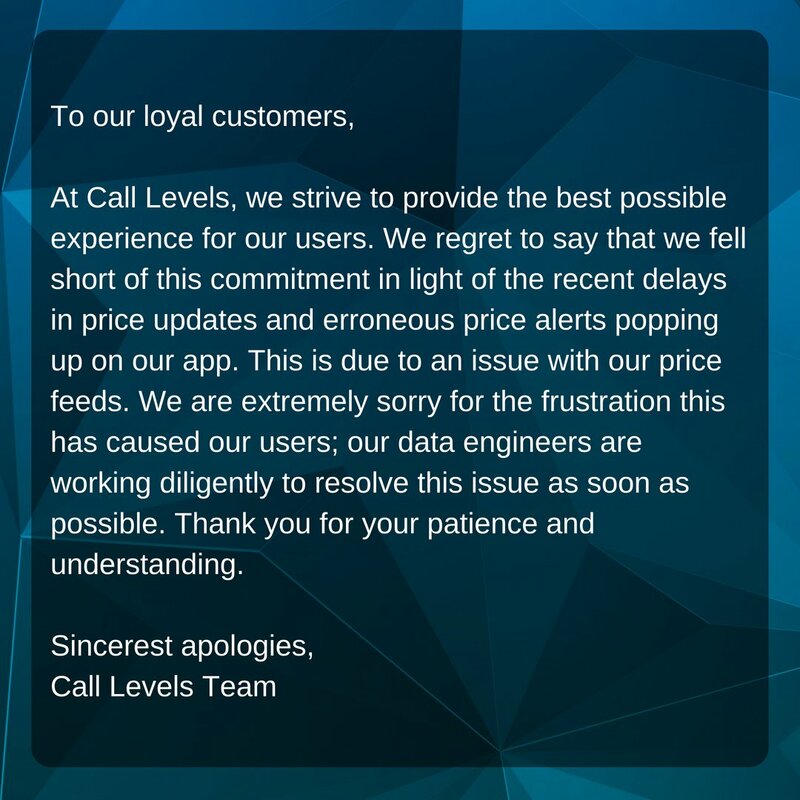 Acknowledged as one of Singapore’s leading startups, Call Levels looks forward to empowering users in the MENA financial markets by offering a simple, user-friendly experience with reliable service.